Blago! You all remember Blago right? The former Illinois Governor turned reality TV sensation who acted as if the18 felony counts against him for corruption, including trying to sell then President-elect Obama's open U.S. Senate seat for the state of Illinois, were a joke. As if federal prosecutors don't bat 99% every day in federal court. Even his wife cashed in on the fame, making appearances on "I'm a Celebrity" and eating an occasional spider or two. Well, folks, play time is over. A federal judge today sentenced impeached Illinois Gov. Rod Blagojevich to 14 years in prison, giving little weight to Blagojevich's first-ever apology this morning since his arrest three years ago. Blagojevich was convicted on 18 corruption charges, including the scheme to peddle the vacated Senate seat of Barack Obama. Blagojevich started the day telling the court that he was "unbelievably sorry" for his "terrible mistakes," his last chance to convince the federal judge that he deserved some mercy when he was sentenced on corruption charges. "I'm here convicted of crimes. The jury decided I was guilty. I am accepting of it. I acknowledge it…" Blagojevich told Zagel. "I want to apologize to the people of Illinois, to the court, for the mistakes I have made. … I never set out to break the law. "I never set out to cross lines. I have nobody to blame but myself for my stupidity and actions and the things I did and I thought I could do. 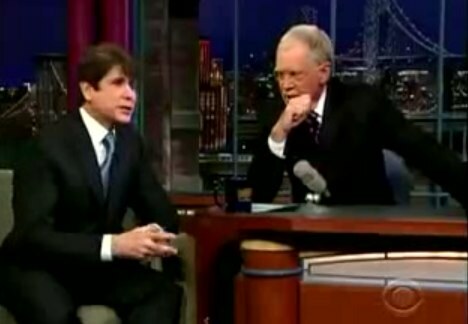 I'm not blaming anybody," Blagojevich said. "He knew from a very early date exactly what he could do to help the people of Illinois and he didn't do it," federal prosecutor Reid Schar said. "Instead, what he did was first to seek personal benefits, jobs, millions of dollars, and things for him in relation to the Senate seat. "He lied repeatedly, concretely, and on issues that went to the heart of the case and he lied on every episode that he was questioned," Schar said. "He is incredibly manipulative, and he knows how to be." In setting a conciliatory note, Blagojevich's lawyers have already admitted - for the first time - that it was against the law for Blagojevich to seek a high-level Washington job in return for an appointment to Barack Obama's vacated Senate seat. They also made a case for mercy, reading letters from Blagojevich's wife and oldest daughter. His wife, Patti, cried Tuesday during the first day of the sentencing hearing as a defense attorney read her plea to U.S. District Judge James Zagel: "The punishment that he fears the most, one that would be most devastating would be that he would not be able to see his daughters grow. Please be merciful." Merciful? HAPS!!! HAPS on your mercy! 14 Years, lady!!! Child rapists literally get less time. Murderers literally serve less time. How's that for mercy? 1. Do you think Blago was guilty of trying to sell Obama's old seat? 2. Do you think 14 years in federal lock up is excessive? 3. Did Blago's TV antics cause him to get a higher sentence than what he normally would have received? 4. The court mentioned that Blago waited until sentencing to admit - for the first time - that he actually did anything wrong. Did that make his sentence worse? 5. If you were Blago, would you have struck a plea agreement 3 years ago? 6. 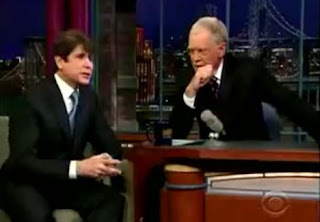 And the million dollar question: When Blago goes to jail is he finally going to get rid of that ridiculous hair cut?? ?